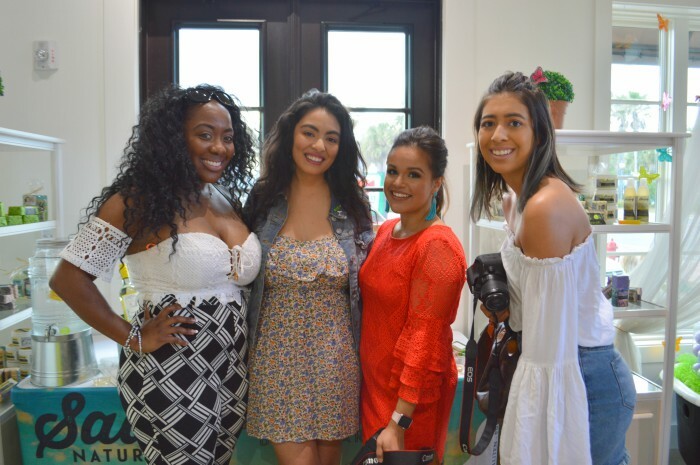 Last weekend I had the pleasure of visiting the Saavy Naturals store in Neptune Beach for the first official North Florida Influencer event and it was an absolute delight! Of course spending an afternoon with a group of individuals who are loads of fun to be around is one thing but when you mix cocktails, food, and deliciously scented health and beauty products, you’re bound to have an afternoon of giggles, good conversation, and quite possibly a little overspending. 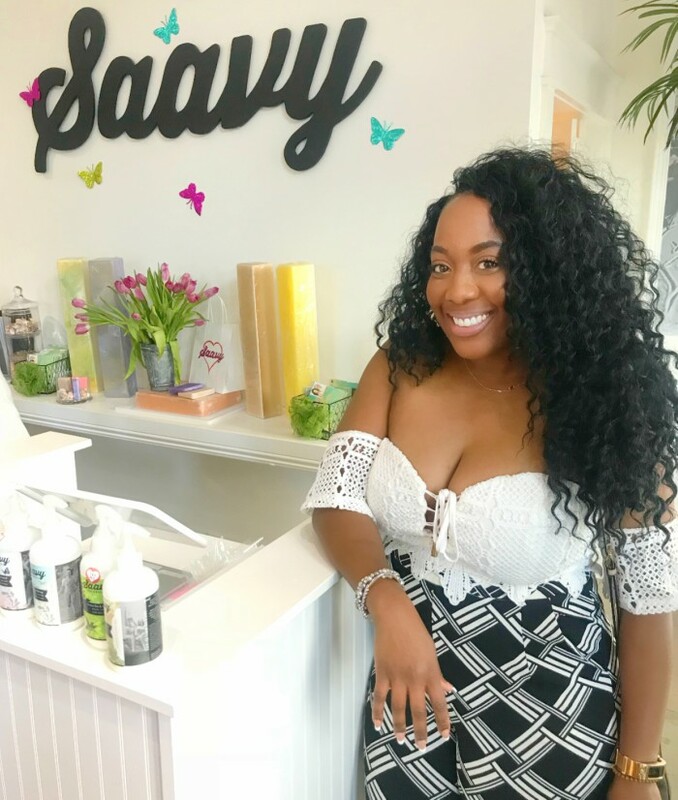 So I have a particular interest in the backstory for Saavy Naturals as it was created by the Saavedra’s, a husband and wife duo who had an extensive background in food services. 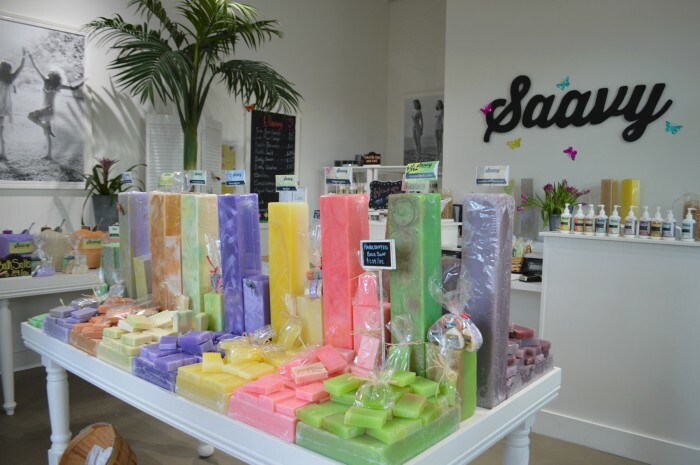 They owned and operated restaurants and worked as personal chefs so when I learned they used herbs and edible flowers to create their Saavy beauty product line, I was intrigued. They were also on Shark Tank, season 7, episode 7 so it goes without saying that they are passionate about the products they market. I love that their artisan body care products are 100% food grade and all natural. 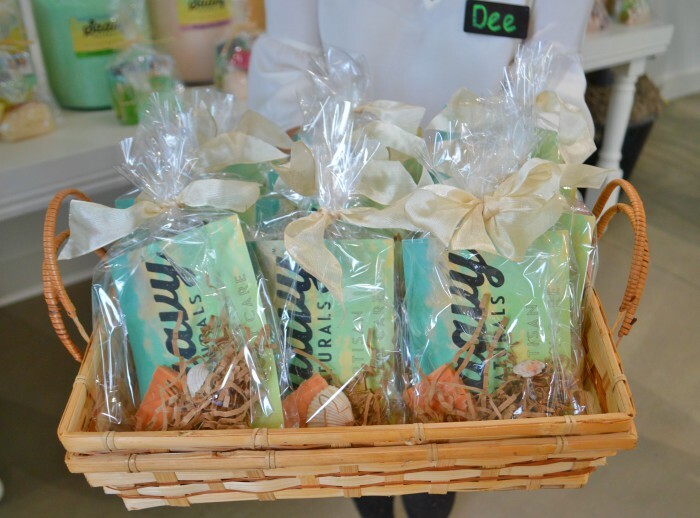 Their products are also vegan, cruelty-free, gluten-free, palm-fre, non-GMO, and soy-free. They are definitely responsibly sourced. You’ll never have to worry about whether your body lotion or shampoo contains artificial ingredients and harmful chemicals when you use Saavy Natural products. Hey, you could probably eat all of their products if there was ever an apocalypse and you had nothing else! Did I mention how amazing it smells when you walk in? I mentioned on my IG stories that I wish I had smell-o-vision. The aromas smelled amazing. They were very soothing and clean. They aren’t too over powering like scents from some of our favorite health, bath and beauty stores. 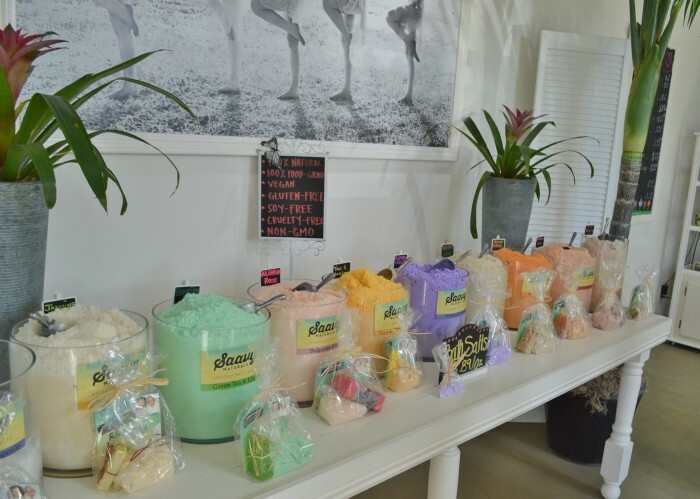 You can find products including lotions, bath bombs, hand creams, sugar scrubs, shampoos, and candles just to name a few! 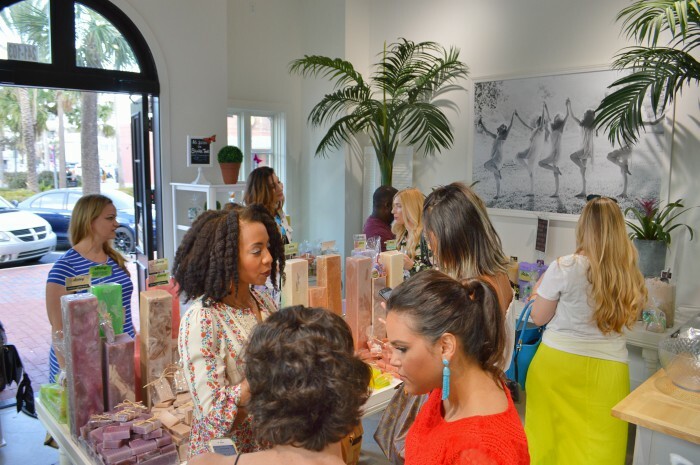 My favorite product sampled that afternoon was the Tahitian Vanilla & Kukui Sugar Scrub! It was a gentle exfoiliator that had my hands feeling incredibly smooth. The scent was intoxicating! I can only imagine how smooth I’d feel if I used it all over. They were so sweet to give all of us a sample to take home! Exploring all of the gems Jacksonville has to offer with my fellow blogger babes has been a blast! We have the best fun together. 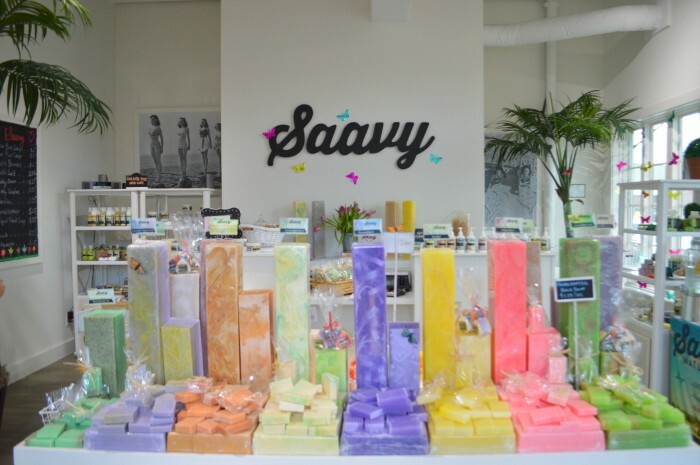 As for Saavy Naturals, I am in love! I mean what’s not to love about beauty products that are good for the body and smell divine? Not to mention, I don’t believe I saw any thing over $20 bucks in the store. I’ve been learning more and more about what the Beaches Town Center has to offer and Saavy Naturals is one more local shop there that I can add to my list of shops to frequent! 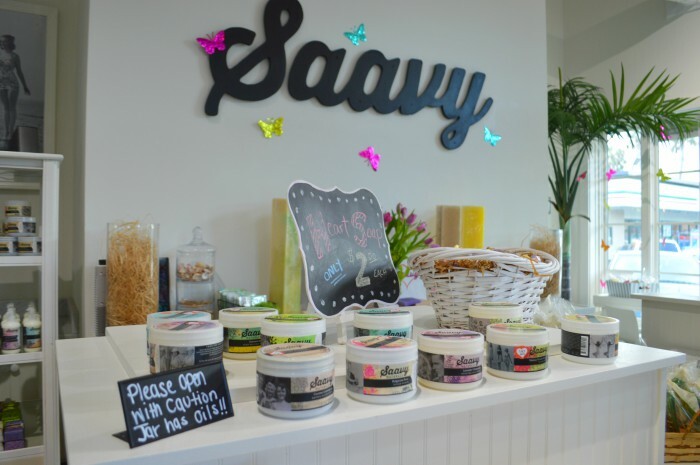 The next time your near Neptune Beach in Florida or Huntington Beach in California, you have to treat yourself or someone to some products from Saavy Naturals! They would make wondeful gifts! Which product would you try? Let me know in the comments below and as always, thank you for stopping by!